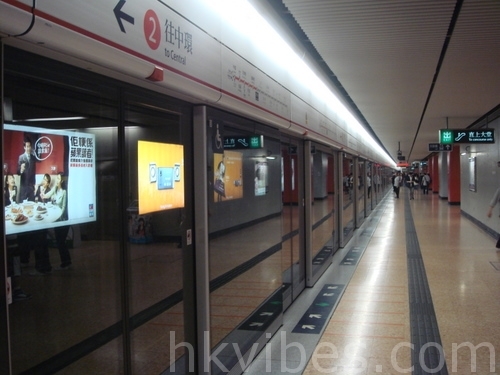 Contrary to Paris’ MTR, in Hong Kong the whole platform is protected by glass and automated doors (ok it’s also available on Paris’ 14th line, but in Hong Kong it’s just everywhere like that :). On this picture you don’t see a lot of people and it is misleading: like everywhere else, the MTR is crowded in the morning and in the evening, but during the day it’s ok. 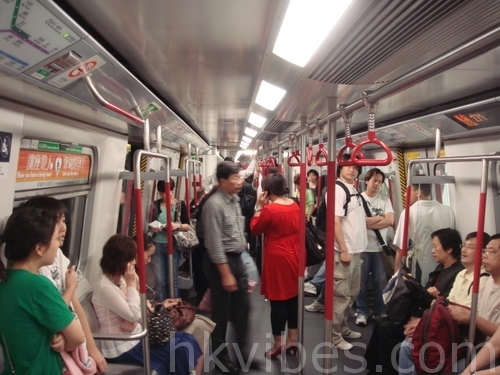 The picture below shows a little bit more about the inside of Hong Kong’s MTR. It’s quite handy and well organized. And above all, it’s clean and luminous.